OpenWRT is a popular wireless router OS, and ART (Atheros Radio Test) is a radio test tool provided by Qualcomm Atheros. If anyone want to test radio performance in OpenWRT OS, one thing has to to be done is that porting ART driver to OpenWRT. A friend of mine was looking for OpenWRT ART driver and I spent a lot of time on porting it. Fortunately, I finally succeeded and I like to share it with the readers of my blog in this post. By the way, my English is not very good, if there is any mistake, please correct me. Step 1, modify makefile.artmod to match with the specified kernel path and toolchain path. Step 2, by not making any code changes, starting compile and I got the error below. I have encountered similar problem during porting ART driver for Freescale i.MX6 processor. Change ioctl into compat_ioctl of dk_fops structure located in modules/dk_func.c, compile again and there are no errors about ioctl. Step 3, a new error as below. Step 4, compile the source code once again and art.ko kernel module is avilable in modules directory. 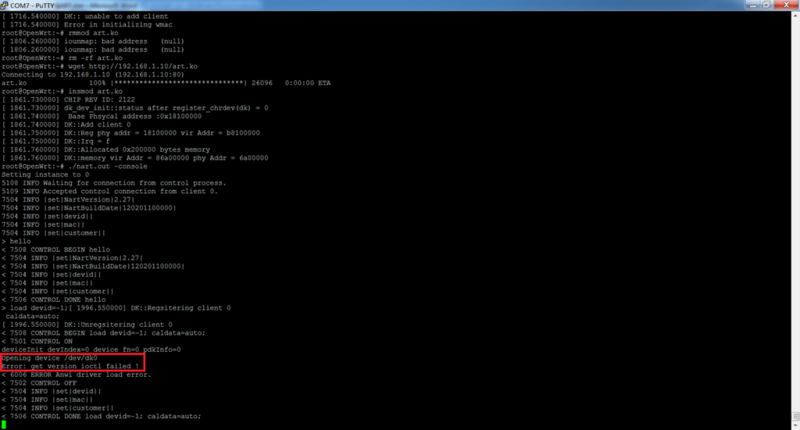 Step 5, upload art.ko to a web server and download it into DUT by wget command. 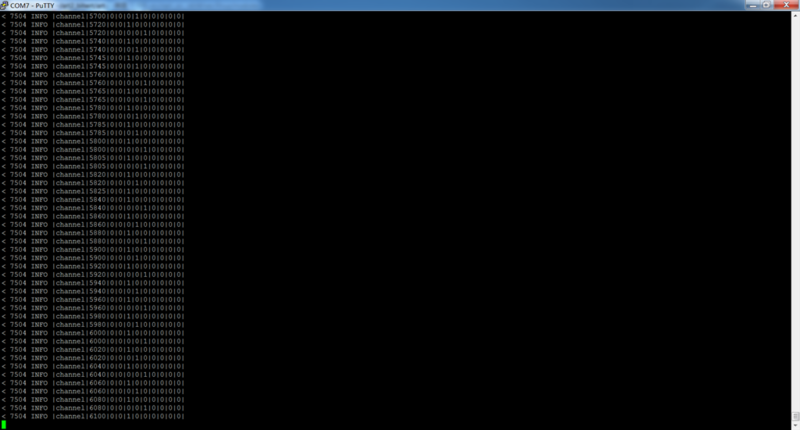 Step 6, load DUT by artgui, error is reported in console window as below. Step 7, dk_fop structure is defined as below in higher ART version. A new ioctl is defined and it takes effect when kernel version is above 2.6.31. Step 8, modify dk_fops structure defined in lower ART version as below. Step 9, compile again and download art.ko into DUT, using artgui to load DUT and thers is no error in console window as below. but where can I get the source code of ART ? ?